Today's post is a face-off of MAC's Rubywoo and Revlon's Very Red lipstick. They are both matte red lipsticks--such a beautiful look! As I've said in the past, I have such a love/hate relationship with MAC's Rubywoo. It is such a gorgeous color and it looks fantastic for the first 30 minutes you have it on...but then things get weird. It starts to shrivel my lips. like raisins. It feels like all the moisture is being sucked from my lips--not pleasant. 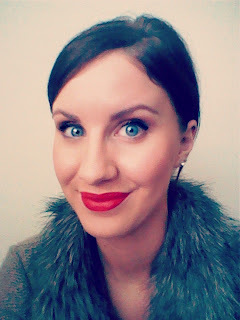 But because I love this look so much, I've been on the search for another perfect matte red. 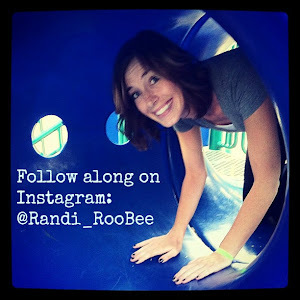 Which brings us to the face off! dun dun dun. Rubywoo is a bit more of a pink red and is really hard to put on--I felt like I was scraping it against my lips to get a good application. it is SOOO freaking matte. 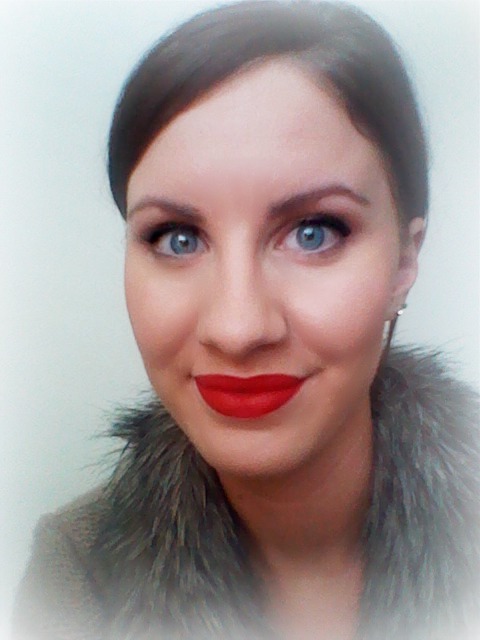 I think it looks more true to the 1940's look but still too drying on my lips. Very Red from Revlon was such a great find. It stayed all day and I didn't even need to reapply. WHAAAAT. that never happens. It is a bit more of an orange red and a bit creamier than Rubywoo, but I really appreciated that. My lips didn't feel like they were dying while I wore it. 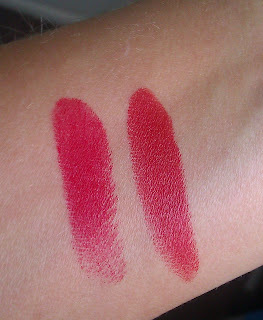 They are both great colors and I know people who swear by Rubywoo, but I think for me, this battle went to Very Red. I was just so happy with the texture and the staying power. oh. and it was only $6.99. You just can't beat that. 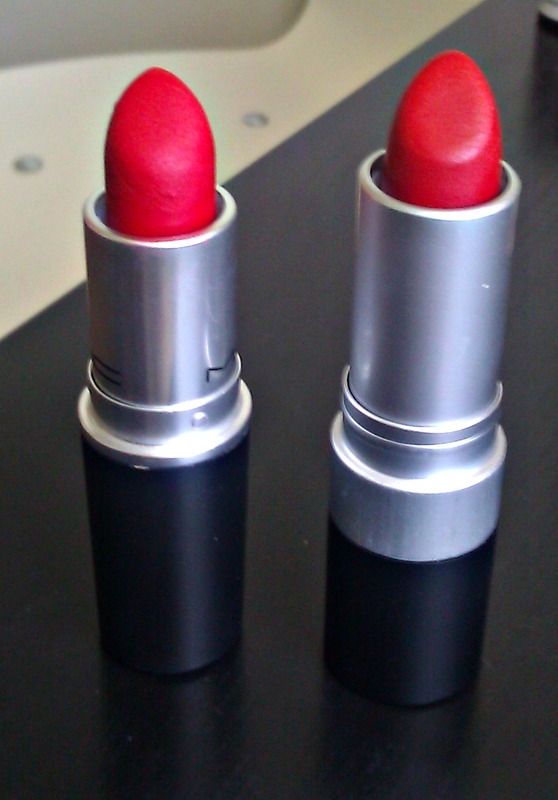 Have any of you used either lipstick? Which do you guys like more? I have been on the lookout for a good matte red. I have a glossy red that I love, but now I need matte. I may have to try the Revlon one!